If you're a freelancer who writes, programs, markets, develops, or designs, Elance may be a great option for finding jobs and building your career. Similar to how eBay works, you bid on a job posted by a business. Your profile and portfolio of work help you gain jobs. Almost every one in three American workers describe themselves as freelancers—but with so many out there, how exactly are they all finding work? There are thousands of ways to find freelance work, but Elance is easily one of the most popular options. Elance is a freelance marketplace—businesses post jobs and freelancers place bids. It's often described as an eBay for freelance work, only instead of buying, you're actually getting paid. The Elance system makes it simple for both businesses and service providers to manage contract-based projects. Elance has a variety of service categories, making it suitable for writers, accountants, web designers, translators, and more. If it's a service that can be provided remotely through a computer connection, chances are, it's a category on Elance. An Elance gig starts when a business posts a job. The listing will include a description of the work as well as exactly what they're looking for in a freelancer. It reads a lot like a traditional “help wanted” listing. Elance posts also typically include a budget range and time frame. Businesses will also choose if they want to pay with a one-time fee, or by the hour. The job is then opened for bids. Freelancers will submit a bit about themselves and why they are qualified for the job, then list the price that they'll do the work for. Freelancers have a profile that offers further information, as well as a portfolio of past work and reviews from past Elance clients. The Elance system offers perks to make the service valuable to both freelancers and clients. 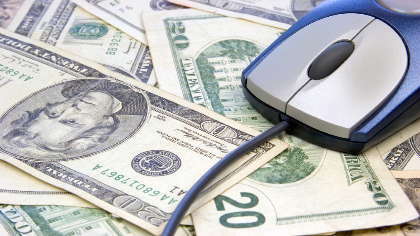 The clients receive a competitive bid as well as tools to manage payments easily. Freelancers have access to a large number of job postings and a tool that will automatically log hours. Payments are guaranteed through a system, too—the client will put the funds in escrow, and then the freelancer can begin work. Once the job is complete, the funds are released, and there's an Elance team there to help manage any disputes. There is a cost to use Elance—but it is typically just a cut of your earnings. Freelancers will see how much Elance will take from their earnings when they bid, so they can price their work accordingly. Elance also sells monthly plans that offer benefits such as seeing what other freelancers are bidding, but they are just extras and freelancers can use Elance without a monthly fee. Elance is often a good place to find work. However, there are drawbacks. Workers in foreign countries are often able to place very low bids. Getting started and winning a bid without any reviews is also tough. Once those hurdles are crossed, however, it can be a very valuable resource; many freelancers earn their entire income through Elance projects. Keep watching WAHM.com for more articles on using Elance.